US Visa Appointment - How to Schedule a US Visa Appointment? In order to get a US visa, a person must go through a lengthy application process. This includes several forms, supporting documents, and visa appointments. Most of the application procedures are completed at the US Embassy in your country of residence. With the increased digital reliance, most applications and documents are submitted online, but the US visa appointment must be attended in person. This article will go through the procedures to schedule the US visa appointment and the details. 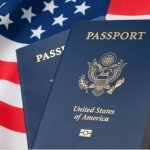 What is a US Visa Appointment? Once you apply for a US visa by submitting the application form and supporting documents, the US Embassy Visa Application Center (VAC) will have to process it. This might take a few days to a few weeks depending on the type of US visa you have applied for and the workload that they have. Once they process the application, a visa appointment must be made. The fingerprint appointment must be scheduled so that the applicants give their biometric information. This includes a US Visa photograph and fingerprints. 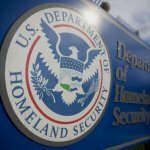 The US requires applicants to give their biometric information to increase the security of their borders and check who is entering the country. There are some countries or specific applicants who might not need to schedule their fingerprint appointment, but you must check with the US Embassy and ask whether you have to complete this part of the visa application process. As for the visa interview appointment, all applicants over 14 and under 79 years old must go through a visa interview. The visa interview must be scheduled at least a day in between the fingerprint appointment. During this appointment, you will have to answer questions from a US Embassy official regarding your background, employment, the information you have put in the application form, and reasons why you want a US visa. These two appointments are the last part of the application process before the US Embassy notifies you of their decision. They must be at least one day apart, so after the interview you will know whether you got the US visa or not. However, there are different ways of scheduling the US visa appointments depending on the type of US visa you have. How to Schedule a US Nonimmigrant Visa Appointment? Scheduling a US nonimmigrant visa appointment is different from an immigrant visa. In this case, you will have to complete all the steps on your own without the assistance or oversight of any other agency. When you submit your application and supporting documents, you can either call the VAC you applied to or schedule the appointments online. If you call, they will let you know of the available timeslots and you can pick the one that is most convenient for you. If you choose to schedule the appointment online, you will see in the calendar which timeslots are free and pick one. Documents based on the visa you are applying for (for example an employer petition if you are applying for an employment nonimmigrant visa such as an H-1B visa, or your educational institution information if you are applying for an F-1, J-1, or M-1 visa). How to Schedule a US Immigrant Visa Appointment? When you apply for a US immigrant visa, then scheduling your fingerprint and interview appointments is different. Unlike the nonimmigrant visas when you have to schedule everything yourself, the National Visa Center (NVC) is responsible to schedule the appointments for immigrant visas. After the US Citizenship and Immigration Services (USCIS) processes the immigrant visa petition from an employer or family member, they send the documents to the NVC. The NVC assigns a case identification number and a fee identification number for you. Then depending on whether the visa has an annual cap or limit, they schedule the appointments. If the visa you are applying for does not have a limit, then they schedule the biometrics and interview appointments immediately. If the visa has an annual limit, then they wait until it is your turn, so until you get a current processing date. When it is your turn to get that visa, then they schedule the appointments. For immigrant visas you do not get a choice when the US visa appointment is scheduled. Therefore, the NVC will schedule it whenever the next available timeslot is at your US Embassy. This means that you must plan ahead and take time off work or your commitments to be able to attend the fingerprints and interview appointments. How to Reschedule a US Visa Appointment? Once you set your appointment or the NVC sets it for you, it is recommended to attend it on that day and time. However, if you absolutely cannot attend the US visa appointment, then you can reschedule them. To reschedule a US nonimmigrant visa appointment, you can either call the VAC or change the date and time online. This will push the appointments to the next available timeslot that works for you. You must provide a valid reason as to why you are rescheduling so that the US Embassy takes it into account. To reschedule a US immigrant visa appointment, you must contact the NVC and explain your reasons for wanting to reschedule. You must provide your case number or application number and let them know of a time that is convenient for you so they can try to get you that appointment. The NVC however, will schedule the appointments at the next available timeslot if the one you are requesting is not available. Because of this, you must make arrangements and try to attend the original appointments. Rescheduling will only delay the processing of your visa and increase the time you have to wait to know whether you got the visa or not. It is not recommended to reschedule an appointment more than once if it is absolutely necessary. If you reschedule more than once, then you may be required to pay a new visa application fee as a penalty. How to Cancel a US Visa Appointment? It is highly unlikely that after going through the hassle of applying for a US visa and getting the supporting documents, you will have to cancel an appointment. However, circumstances change and you might not want to get a US visa anymore. Canceling the US visa appointment indicates that you are giving up on the chance of getting a US visa. 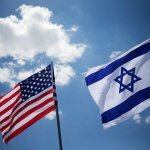 To cancel the US visa appointments, you can call the VAC and let them know that you are canceling and that you will not need a US visa anymore. For US immigrant visas, you should call the NVC and inform them that you are not interested in obtaining a US visa. This is not recommended at all as you will have spent a lot of effort in applying for the visa and therefore should try to see whether you will get it or not. How to Get a US visa Appointment Waiver? You are applying for a renewal of a BCC, B-1/B-2, C-1/D, F, J, M, or O visa within the same classification. To apply for an appointment waiver, you must either choose the option online or call the VAC where you are applying. The VAC will verify whether you are eligible for a visa interview waiver and they will let you know whether you will still need to schedule an appointment or not. 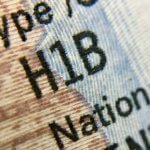 There are cases when you might be eligible to waive the biometrics collection or the visa interview, but not both. In that case, you must still schedule an appointment for the one which you cannot waive. Also, there are some visa categories which do not qualify for an appointment waiver. These are the applicants who want to get an E-3, T, U, H-1, or blanket L-1 visa. Even if they are renewing their visas, those who fall under those categories will not be allowed to get a visa appointment waiver and must attend the visa interview. For US immigrant visas it is highly unlikely that you will be able to get an appointment waiver, so you must discuss it with the NVC and obtain permission or confirm your appointment date and time.